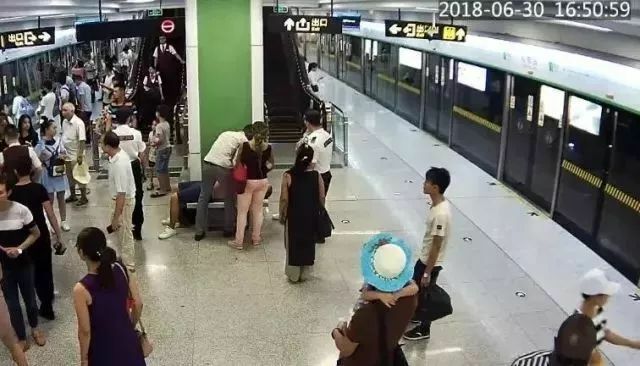 On June 30th, a passenger suddenly became ill when he tried to get on the metro at the Zoo Station on Line 1 of Nanning Subway. With the quick thinking and help of metro staff and an overseas student, the passenger’s life was saved without the need for an ambulance. 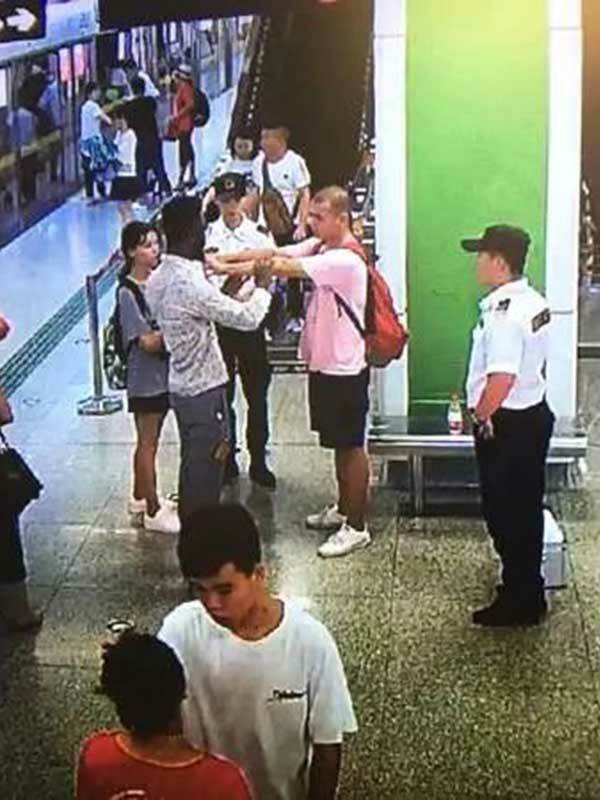 At about 4:30 pm on June 30, a patrolling officer who was on duty in the station, found in the monitoring room that a male passengers walking slowing and rubbing on the chest with his hand. 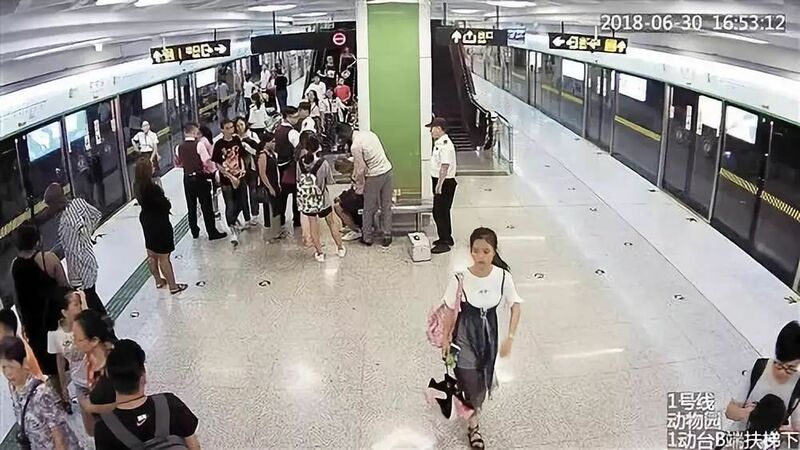 “Hurry up, a passenger has fallen down!” the on-duty officer said. And then she and her colleague took the First Aid box and rushed to him. They found the passenger who was unable to speak. 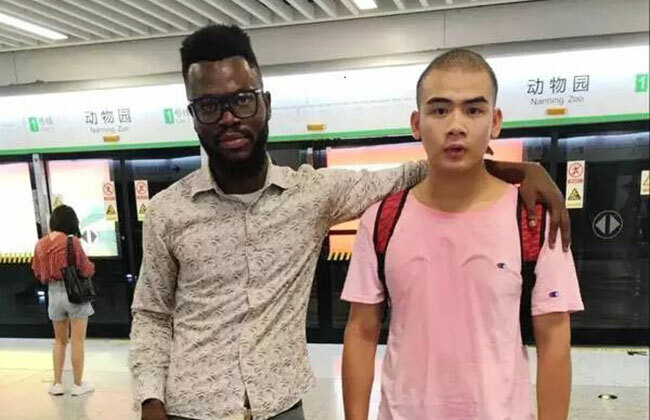 At the time, there was a lot of people there, including Emmanuel Maduabuchi Abraham, a clinical medical intern Nigerian student, who studied at Guangxi Medical University for 6 years. 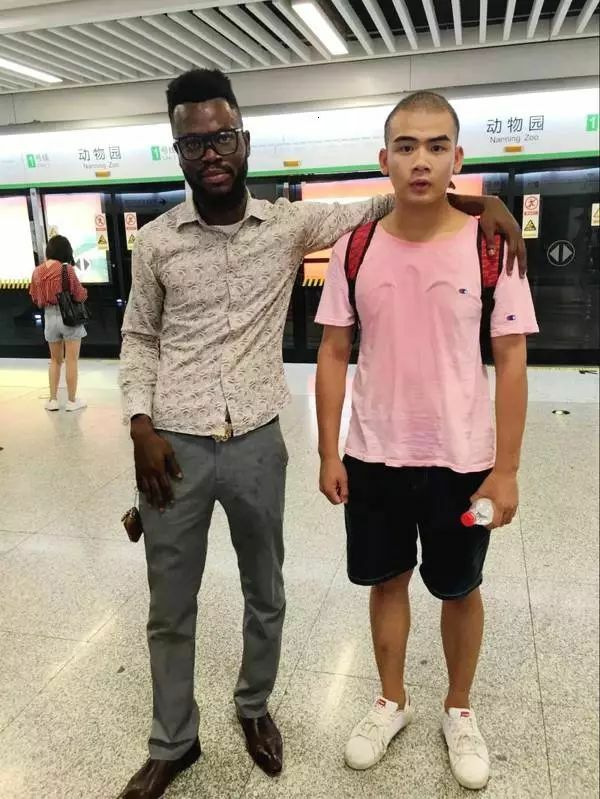 He’d just returned from a visit to the zoo with his family and approached to help the man who looked like he was struggling but he said he was alright, so Maduabuchi left him and continued downstairs to take a metro. While Maduabuchi was waiting for the train the man also came down to the platform as they were waiting for the train, he could not hold it anymore as the pain became too severe. He sat down crying and holding his chest, no longer able to walk, breathing deeply and gasping for air. Immediately, Maduabuchi rushed to him and held him upright, checked his vital signs and told him to lie down flat. The ill passenger was found holding his chest and sweat profusely. Maduabuchi opened up the patient’s shirt for air and positioned his head to try and help him breathe more comfortably. He observed there was no breathing, so he immediately began CPR (cardiopulmonary resuscitation) on the man. He continued the CPR steps, performing cycles of chest compressions and breathing until the man exhibited signs of life, by breathing. He massaged the passenger’s head, limbs, and cooled the head with some mineral water. After a while, the passenger felt better and was eventually able to walk normally. He also expressed his great thanks to Maduabuchi and the station staff. 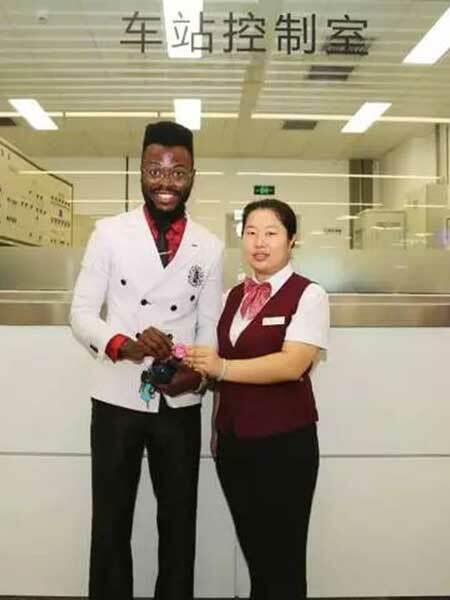 On July 10th, Maduabuchi was awarded the title of ‘Most Honourable Passenger’ by Nanning Rail. “I am a medical student. I don’t want to see any patient in pain. This was my first patient, I hope I can help more people in the future.” Maduabuchi said. 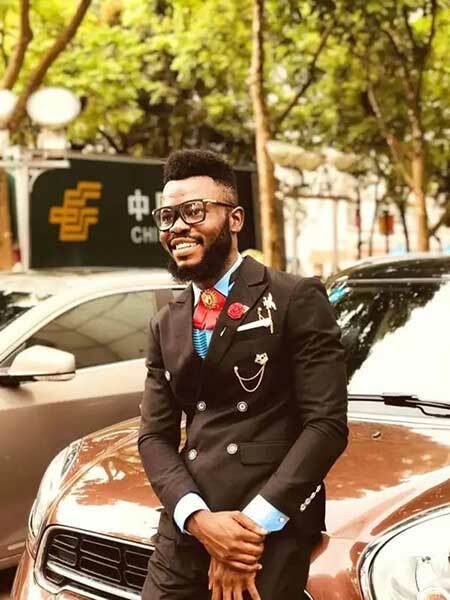 He has been studying clinical medicine at Guangxi Medical University for 6 years and has now been able to put his studies into practice. According to the ill passenger’s reaction, it seems he had an attack of heat stroke.